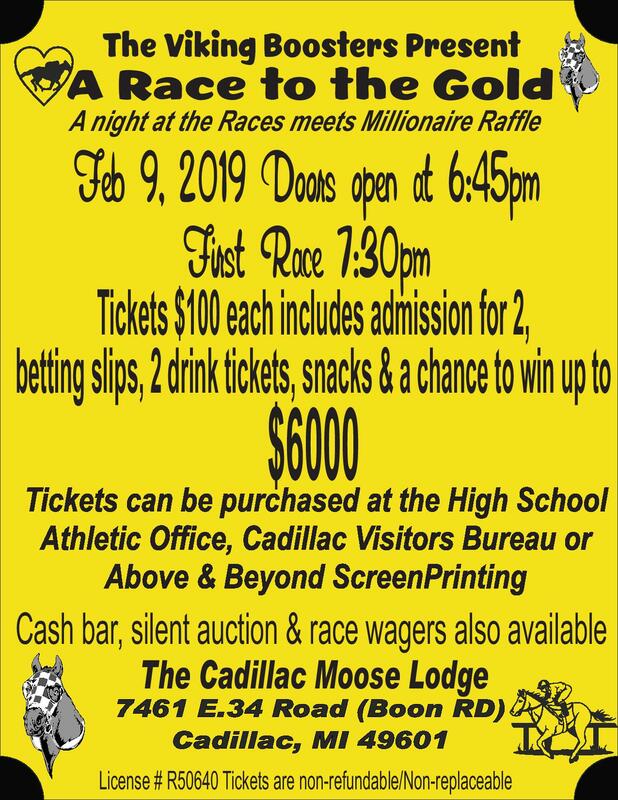 The Cadillac Vikings Booster Club says it’s making it rain in its own special way on Saturday at the Cadillac Moose Lodge. 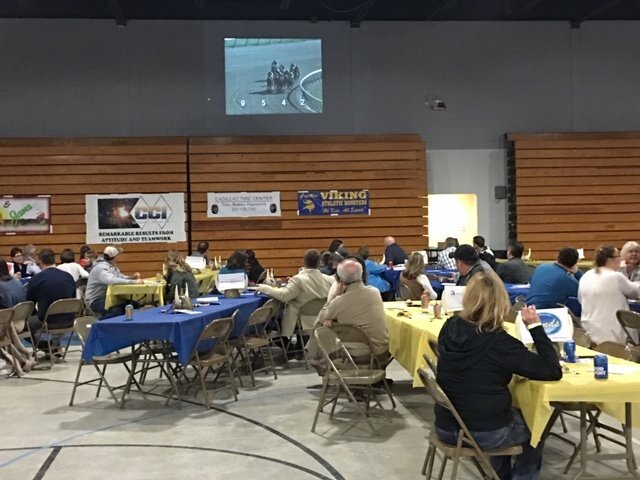 This year’s booster event is a “Race to the Gold” as it combines both last year’s horse races with the Millionaire Raffle from previous years. Tickets are $100 to admit two people, which includes two drink tickets, hors d’oeurves, betting slips for the horse races and a chance to win up to $6,000 in the raffle. That’s how big the grand prize will be if all 300 tickets are sold. There are eight races total on T.V. and tickets will be drawn from the winning horses’ buckets for a prize. All proceeds from the night go toward reducing student athlete participation fees. For more information, see the flyer below, or head to cadillacvikings.org.